Richard is the owner and broker of Richard Humphreys Realty. Richard was raised in Nacogdoches. After graduating from NHS in 1979, he attended SFASU and received his BA and Master's degrees in Administrative Education. Prior to entering the real estate field, he was an elementary school principal in the East Texas area. A realtor since 1998, Richard has served as the president of the Nacogdoches County Board of Realtors twice (2001 and 2009.) He has served on the Nacogdoches Historic Sites Committee. His peers named him Realtor of the Year in 1999. He is past-president of the Christian Men's Fellowship President at First Christian Church having held that post for 10 years. Richard has served on the Habitat for Humanities board and has served a term as its director. 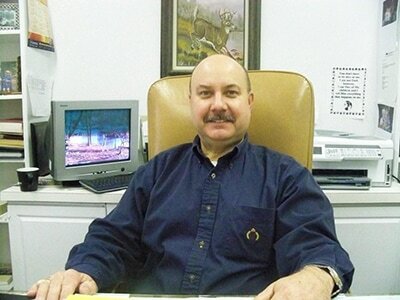 He is an active member of the Fredonia Rotary Club. A lifetime resident of the area, Richard enjoys helping clients get to know the wonderful parts of Nacogdoches, Lake Nacogdoches and the surrounding areas. He is married to Debbie and has two children, Regan and Will.